In addition to the show being one of the last for the iconic Mill City Nights, it was also the last one for local promoter Nathan “Swordlord” Block. 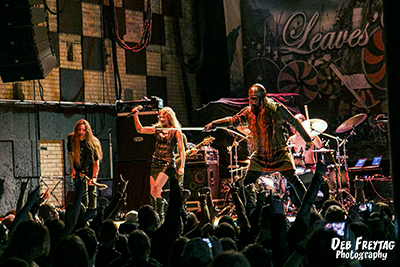 Stepping down from the Minnesota metal promotion scene after 14 years, Swordlord had decided to move on due to personal reasons. He will, however, retain his promotional duties for the ProgPower USA festival that is held yearly in Atlanta promoting Days 1 & 2 as of this writing. 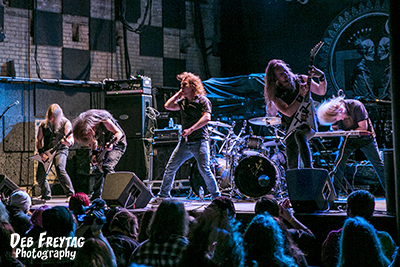 An icon and musical advocate in the local metal scene, Nathan has done a lot to bring smaller tours through the upper midwest, ones that may have otherwise missed the Twin Cities metro area. This is a huge loss for the community and I hope someone is prepared to take up the mantle that is the thriving Minnesota metal scene. 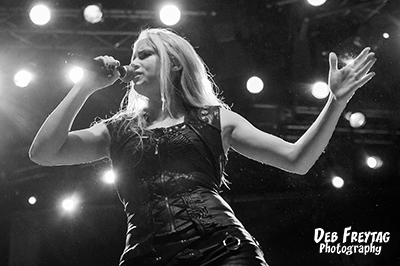 A new band for me, Omnium Gatherum kicked off the night. 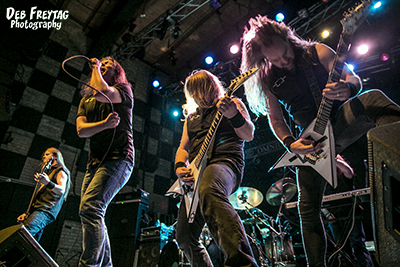 The melodic death metal 6 piece hails from Finland and was a musical treat. Usually I’m not into death metal, but they brought the right mix of melodic music, passion, and crowd participation that really hit the spot for me. Coming out into full speed the head banging the energy did quit with these guys - they seemed to of been practicing their synchronized head banging just for the Minneapolis crowd. From start to finish Omnium Gatherum approached the show with the energy, dedication, and performance of a headliner - and I can’t wait to see more from them in the future. The band has just signed a deal with Century Media Records in late October, bringing world wide distribution to their new album Grey Heavens. They will finish off it’s North America tour with Sonata, and Leaves’ Eyes in December 2016 before their cruise on 70000 Tons of Metal, and finally embarking on their European tour in 2017 with Amon Amarth and Dark Tranquility. After a short break Leaves’ Eyes took the stage next. The band is touring in support of their last album, King of Kings, which came out in September 2015. The tour is an establishing one for singer Elina Siiral. 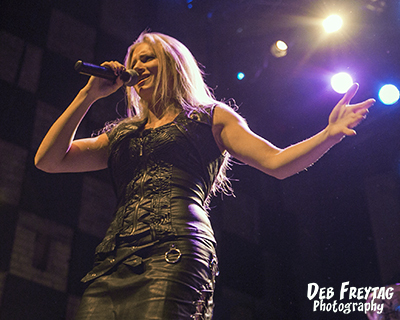 Fans were surprised to learn in April 2016 that the band had parted ways with long time lead singer and co-founder Liv Kristine after 13 years due to personal reasons. 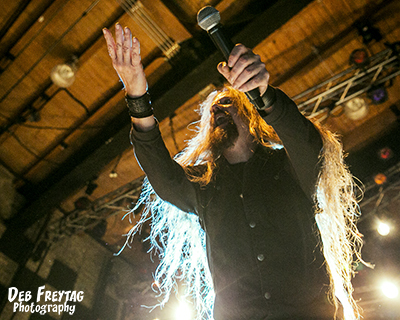 The announcement proceeded the band embarking on their world tour just prior to the shown on April 17 at the Hammersonic festival in Jakarta, Indonesia. This was the first time I had seen Leaves’ Eyes, and I have to say Elina Siiral fit in well and seemed very comfortable on stage with the band. The performance was well rehearsed, with Elina Siiral hitting all of the high notes and melodic parts effortlessly and Alexander Krull giving us the growls we needed to balance the music. The duo switched off seamlessly as they sung their parts, seeming to complement each others style very well both in song and outfit. The crowd seemed energized and receptive, bouncing along to the music and singing along. At one point Alexander Krull changed into full viking gear, though I’d imagine his almost floor length hair could possibly be a bane in battle. Regardless of that minor detail, the theatrical image of him in his full costume in front of the the dramatic backdrop swinging a broadsword was quite a sight to see. 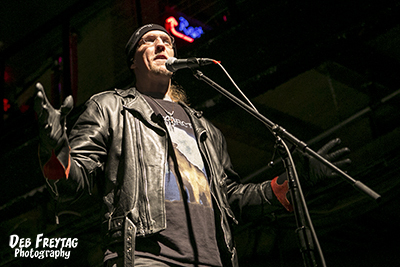 Something that stuck with me about their performance was when Krull used his time on stage to talk about the tough political climate in the USA, using this medium to advocate for togetherness and reminding everyone present that within the metal community we are all one, and we are all equals around the globe brought together by music. That was a powerful message, and one of hope, one that will stay with me for some time. After the performance and epic band bow to the crowd, Elina Siiral graciously made herself available at the merchandise booth for the long line of fans who wanted to meet and greet with her. She was very kind and met with every last fan who wanted to speak with her, as well as grab the occasional selfie. 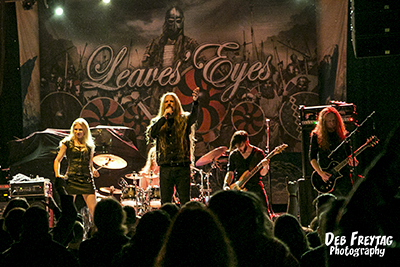 On November 4th, the Leaves’ Eyes released their first official recording with Elina Siiral at the helm. Entitled Fires In The North the EP features a new song called “Edge Of Steel” as well as an acoustic version of the song, and three rerecorded tracks from King Of Kings which now feature Elina Siiral’s vocal work. It is an exciting time for fans of the band as I think there is a lot to look forward to in the future for Leaves’ Eyes, stay tuned. 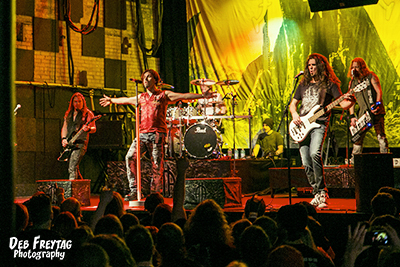 Closing out the night was headliners Sonata Arctica. This is my second time seeing the band, the first being a shorter set with Nightwish back in 2015. The band is supporting their new album The Ninth Hour, which came out in October of this year. Nathan Block personally announced this band, one of his personal favorites, before their set. Taking some time to say a heartfelt goodbye to the metal community he has served all of this time and was moving on from. Sonata came out shortly after their dramatic intro to a hungry and waiting Minneapolis crowd. The set consisted of mostly new songs from their more recent works, the band was able to play a longer set (possibly arranged by Nathan?) and they used that time to hit on a lot of their recent discography. 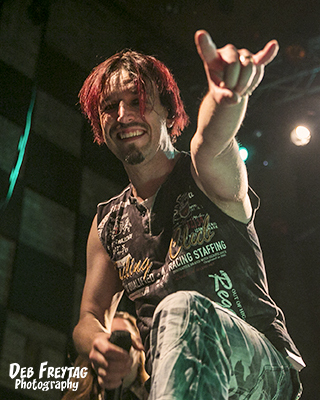 Lead singer Tony Kakko, who has been with the band since 1996, brought all of the energy you could of ever wanted. He has no trouble engaging the crowd as he bounced back and forth on the stage tirelessly. It’s no doubt these guys love their music, and they love their fans. I’m especially glad I braved the storm to catch this once in a life time show, and a fitting send off for Nathan “Swordlord” Block.